Today marked the conclusion of Kurdistan Projects, a three-day event organized by MEED which successfully attracted a large number of international companies pursuing investment and business opportunities. Attendees heard from senior KRG officials, government experts, and leading private sector representatives on a wide range of topics. This is the third year MEED has hosted a conference in Erbil, with the Kurdistan Projects event highlighting four key themes: sustainable long-term growth, improvement of building standards, improvement of workforce capacity, and the latest economic developments of the Region. 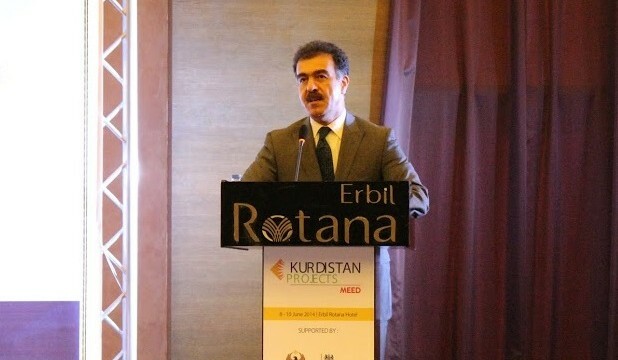 KRG Spokesperson Minister Safeen Dizayee discussed the development of the Kurdistan Region over the last decade as well as current political issues. He said, “The KRG was dismayed by the decision taken in Baghdad to unilaterally and illegally cut the Kurdistan Region’s budget. Despite this, the KRG remains open to dialogue and partnership, but so far the dialogue has not been very fruitful.” In response to a question, the Minister pointed out that Baghdad owes the KRG more than $6 billion and has not received any budget at all for months. At the same time Minister Dizayee assured investors that despite outstanding disagreements with Baghdad, the investment climate in Kurdistan remains bright, businesses continue to thrive, and the KRG is fully committed to promoting private sector development.